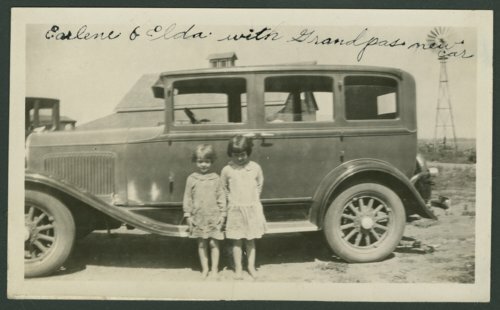 Here are four photographs of Earlene and Elda Warner. Earlene was two years older than Elda. They were the daughters of Elmer John Warner and Etta Elizabeth Beck Warner.